Duration : 2 hour 15 mins. 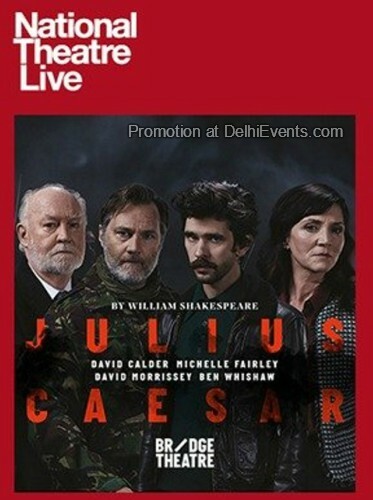 Event Description : FILM & THEATRE : NTLive Broadcast of "Julius Caesar" English Play. Caesar returns in triumph to Rome. Nicholas Hytner’s production thrusts the audience into the street party that greets Caesar’s return, the congress that witnesses his murder, and the chaos that explodes in its wake.